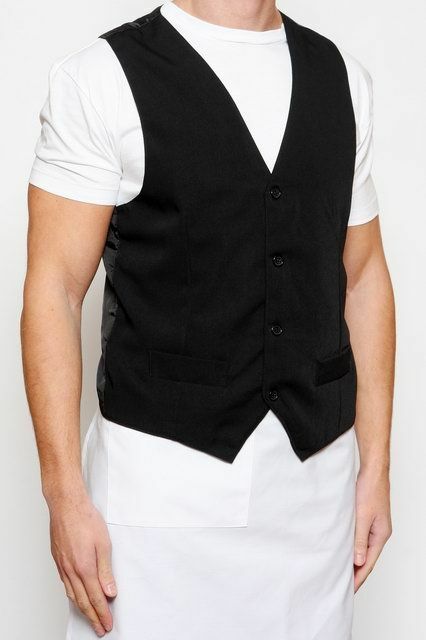 SKU: J006. 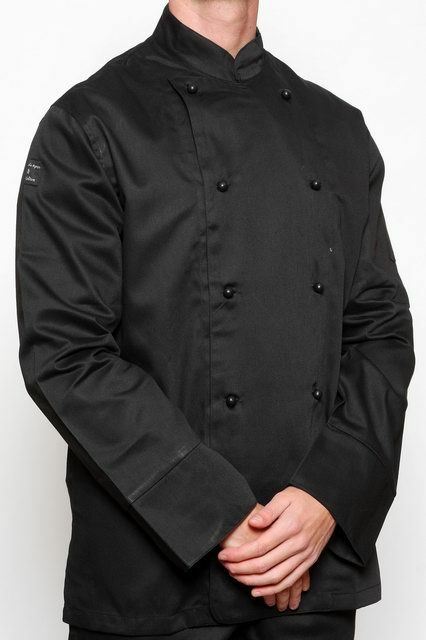 Category: Chef Jackets. 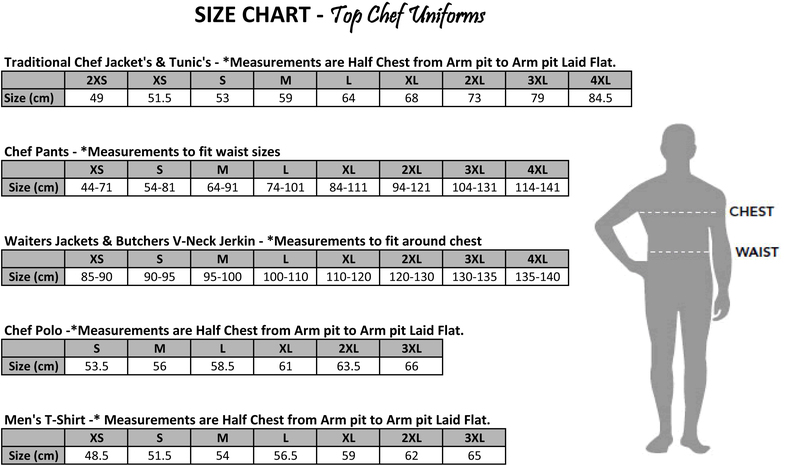 Designed for the Modern Chef, the Top Chef Tunic is available in Black or White, Short or Long Sleeves and all sizes between 2XS – 4XL. 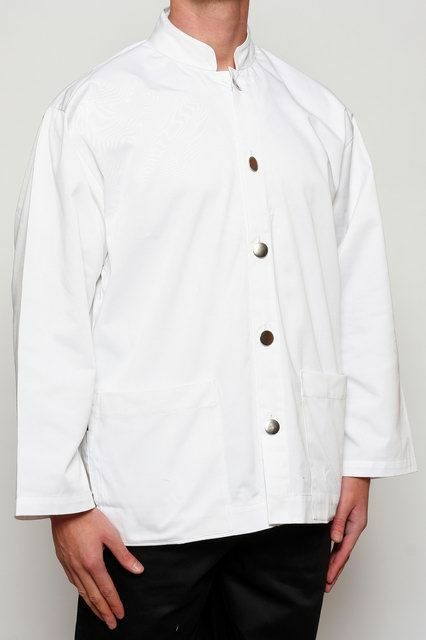 Unlike the Traditional Chef Jacket, the Chef Tunic contains Stainless Steel Press Studs – ensuring you will never loose your buttons again in the wash! 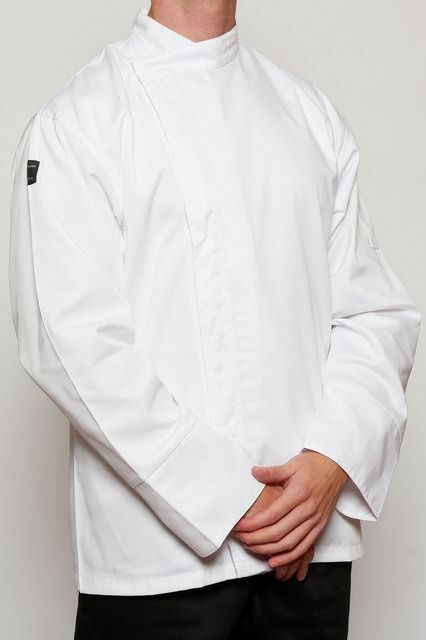 The Chef Tunic also is designed with sleeve pockets to ensure it keeps up in the busiest of kitchens!